Welcome to Ole River Condos, in Ocean Beach East. This is a great spot for your relaxation and fun for the whole family. Although Orange Beach East can be known the the beach as our biggest attraction, plenty of local activities can make it 10x as fun for everyone! Some of our main local attractions include parasailing, boat tours, deep sea fishing, fishing off shore, paddle boarding, and much more! The possibilities are endless here, and you can make it the vacation of a lifetime! When you’re tired and hungry after an awesome day out on the water, we’ve got you covered. Ole River is conveniently located near many great food spots specializing in seafood right along the coast. The view some of the restaurants offers is simply unsurpassable. So stay at Ole River this year, you won’t regret it! 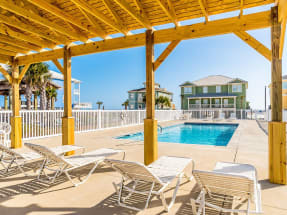 Emerald Coast by Owner is pleased to bring you the best Vacation Rental Properties by Owner in Ole River and more! Browse our listings and book online today! When you book with Emerald Coast by Owner, we make it easy for you to choose where, when, and what you want to do on your trip. Contact us with any questions and be sure to book online today!